Be it desserts or drinks, chocolate is an all-time favourite flavour with people of all age groups. Across the world, both hot and cold Chocolate Drinks are very popular. 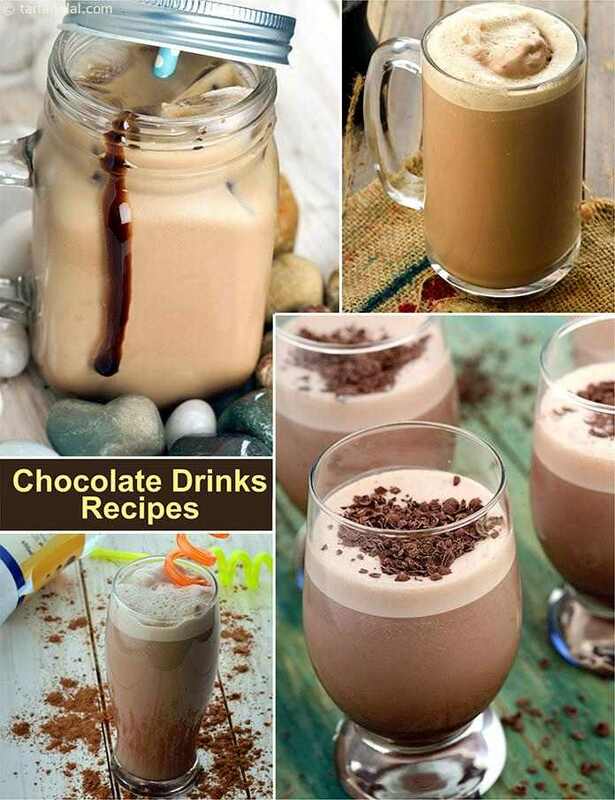 You can make innumerable chocolaty beverages like Choco Shake , Hot Chocolate , Oreo Milkshake , etc., using not just plain cocoa powder but also other ingredients like chocolate ice-cream, chocolate bars and chocolate-flavoured biscuits. Follow the chocolaty trail in this section to get a variety for all occasions and moods. A Smoothie with a difference. This yummy combination of chocolate and cheese,which are kids favourite is exclusively for kids to enjoy this vacation. A popular milk shake recipe, chocolate thick shake is lip smacking and yet healthy. The delectable milk shake is flavoured with chocolate. A perfect cooling and nutrient dense beverage option, especially for children.